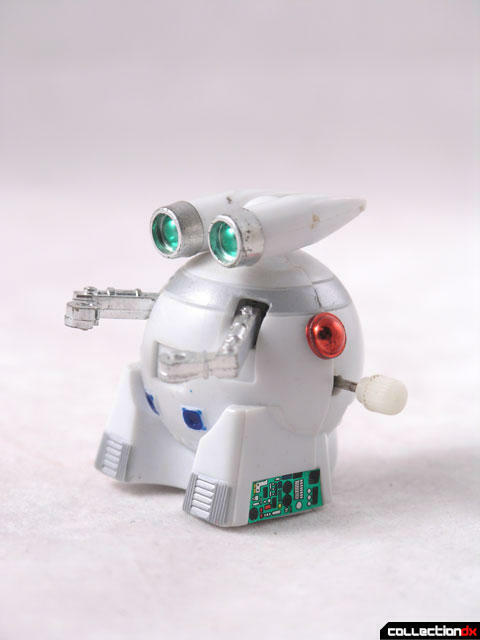 In the 80s, along with your cool Transformers and Godaikins, somehow you ended up with these generic wind-up robots. You didn’t know where they came from. You had never seen them in a show, but there they were, in the corner of your toy box. Who were they? Who were Mild Girl and Mild Boy? Apogee and Perigee began life as characters in a Suntory Whiskey commercial in 1984. Their popularity exploded for a short time, resulting in various toys, and even a record! After the commercial, they were more popularly known as Mild Girl (???????) and Mild Boy – as a pair they were Mild Robo. 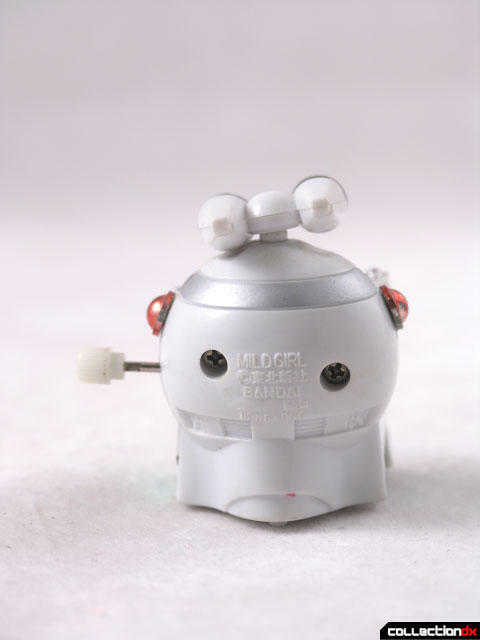 Toymaker Bandai made a whole assortment of toys based on these characters, including Diecast, battery Operated, Intercoms, Radios, and even wind-ups. 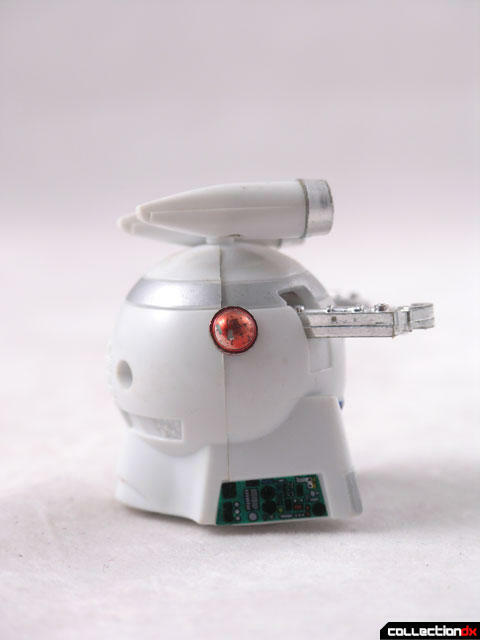 The diecast under the Chogokin brand were labeled as the Metaluna (????) Series. A good way to keep them apart is that the girl bots (Perigee - green eyes) were GI-BOTS, and the boys (Apogee - blue eyes) were BO-BOTS. This particular toy is part of the LOV-WALK series and is a small, wind-up version of Mild Girl. 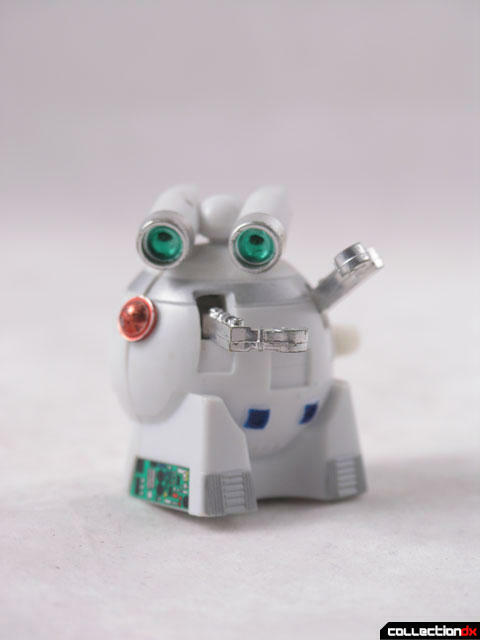 The toy is molded in white, with chrome details and green eyes. The arms and head move, and of course, you wind it up to walk. 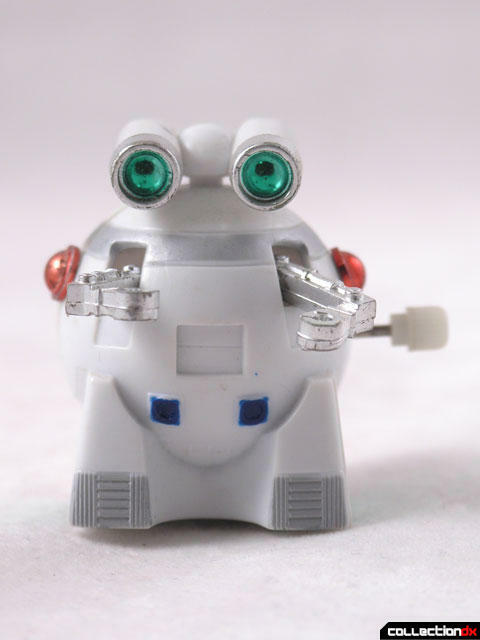 The toy itself is unremarkable, and most have forgotten they even had one, but it traveled the same journey as many of the more famous robots. Conceived by Popy and Bandai in Japan in the 80s, imported, bastardized and sold to the youth or America. I wouldn’t have it any other way.